There was optimism among banks as well as the Financial Services Department about the recovery of bad loans, Arun Jaitley said. The government expects recovery of around Rs 1.8 lakh crore worth of bad loans during the current fiscal through measures like the insolvency and bankruptcy code and debt recovery tribunals. 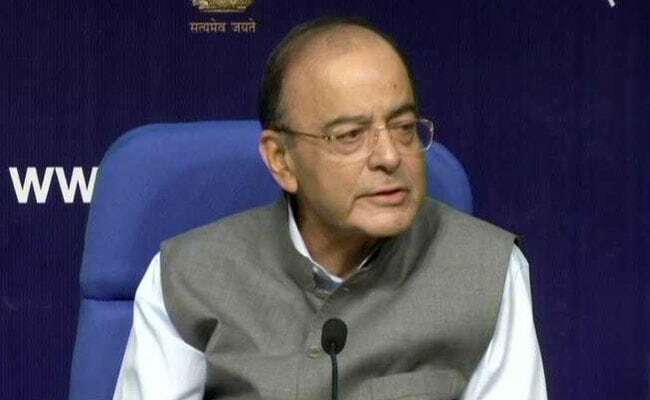 After an annual review meeting of the public sector banks in Delhi, Finance Minister Arun Jaitley said with several major NPA cases at the penultimate stage of the resolution process, there was optimism among banks as well as the Financial Services Department about the recovery of bad loans. Financial Services Secretary Rajeev Kumar said that banks expected to recover Rs 1.8 lakh crore worth of bad loans in the current financial year as opposed to around Rs 75,000 crore in the last fiscal. Mr Jaitley said the bad loans of public sector banks were on a decline as recoveries had picked up after a challenging period of last several years. "I can confidently say that we are on the right track to overcome what is traditionally described as legacy issues," he said referring to the government's constant attack on the previous UPA government, holding it responsible for the non-performing asset (NPA) crisis. He said despite the early days of Insolvency and Bankruptcy Code (IBC), the impact of the new law was visible through the optimism of bankers. "After a prolonged period of several quarters when profits of banks went into provisioning (for NPAS), we saw net profit in the balance sheets of banks in the last quarter," he said. "On the basis of the last quarter and projections for the coming ones, the good news is that the NPAs are declining and the recoveries had picked up... credit growth has also picked up," he added. Mr Jaitley said greater confidence among bankers, coupled with good growth, would ultimately lead to banking activity picking up. However, he said, bankers also had certain expectations from the government including their demand to revisit the Prompt Corrective Action (PCA) guidelines. "They also demanded that the government should be more upfront in capital requirements of some of these banks," Mr Jaitley said adding he had assured the bankers of looking into their demands. He said the government was committed not to miss this opportunity of a cycle of high consumption, high growth, NPA recoveries and credit offtake.